EZPZ Mats for weaning fun and craft sorting! Meal times with kids are a struggle for us, both kids go through phases of what they will and won’t eat and i’m ashamed to say they tend to eat more when they eat in front of the TV, they go into autopilot and shovel it down without thinking. It’s a habit I want to break though especially before Athena starts school as meal times should be family time to chat and digest (pun intended) our days. Arlo was much tricker to wean than his sister, though we did baby led weaning with both of them. She used to eat pretty much anything including steak and olives from before she was one. Then when he came along and I was mostly doing dinner time alone with a newborn and a toddler I got lazy and relied on fail-safe, easy to cook meals and she started to get picky. Sadly he’s picked up the pickiness in some respects but does eat a wider range of things than Athena, for the moment anyway! He does have a good appetite though, which is a relief as he never really ate anything till he was over one! There have been a few things that helped us on our weaning journey, and a few that haven’t! For a start if you have a wooden highchair or table then those bowls with the suction attachments won’t work and are fiddly too! Instead something like the EZPZ Mat is what you need. A silicone moulded dinner plate, essentially! They have sections so you can measure out the right amounts and keep food separate if needed too. They’ll stick to any plastic surface, like a wipe clean tablecloth (also a weaning essential!) and can be cleaned in the dishwasher too! They’re also useful for compartmentalising things, so crafts for older kids (stickers, sequins, beads etc can be sorted) and for younger kids they can help with learning colours and fine motor skills, but sorting beads or counters into colours. Baby Cubby stock a few different designs, the flower one is super cute and has room for a proper plate too which would help with the transition to ‘grown up’ crockery or also pretty well designed for finger food and dips in the petals! The smaller single bowl is perfect for those first few months, when meals are smaller, or to teach how to use a spoon with a bowl that won’t shoot off across the table! Whilst I was looking at these I spotted so many other great items to make life easier with kids, like the multicoloured non slip dots for sticking in baths, and the genius water beakers that suction on to the front of the fridge so your kids always know where to find their cup and where to put it back, I am definitely getting a set of these when they can be trusted not to spill whatever it is all over the house or to put their hands in their glasses! I love how unique some of the products and brands are, and so many colours too! I also love the range of changing bags too, so many styles to chose from! Baby Cubby try to take the difficulty out of choosing from the ever expanding and often overwhelming choice of baby gear, by selecting the most innovative and then testing it thoroughly and ensuring that they price match too. 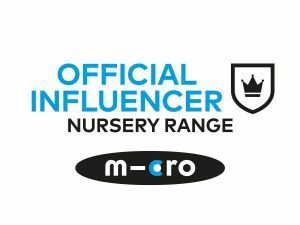 Formed by a team of people who are already parents they know how important it is to give parents access to useful items, at a great price (they even price match with Amazon) and to keep them in the know on their blog and social media channels too! What was your weaning essential?